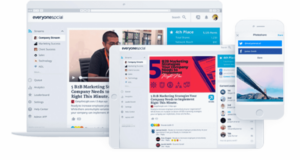 Ready to see EveryoneSocial in action? You’ll discover why we are the preferred employee advocacy and social selling platform used by leading marketing, sales, recruiting, and communications teams. Request your personal demo and see what our employee advocacy and social selling platform can do for you.